One battle has been won, now the war begins. 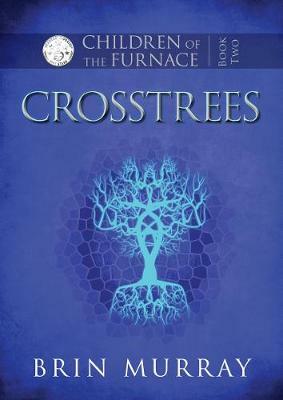 Book 2 of Brin Murray's new YA dystopian trilogy. `What we won was a small battle,' says Jace flat. `They'll be coming, fore we can turn this into a war.' Wil and Leah saved Jace from the Revout's Fires - but find out now, that was just the beginning. The Revelayshun's soldiers are riding to hunt down the Midwife. Only she can lead them to Wil's sister, and the Truth That Will Change Everything. While Revout Sachs secretly plans a cruelty so depraved, it will become known as the New Atrocity. Leah pulls away, and kisses me with soft lips, and whispers: `Ride, Wil. Save the Midwife.' And the world too, while I'm about it. Brin is an author, teacher and mother. Her psychological thriller Ghosts in the Rain was shortlisted for the Mslexia Novel Prize in 2017. She has published short stories and edited a literary journal. Children of the Furnace is her first novel for a Young Adult audience. She lives in the Top of the South with her three children, partner and three dogs.